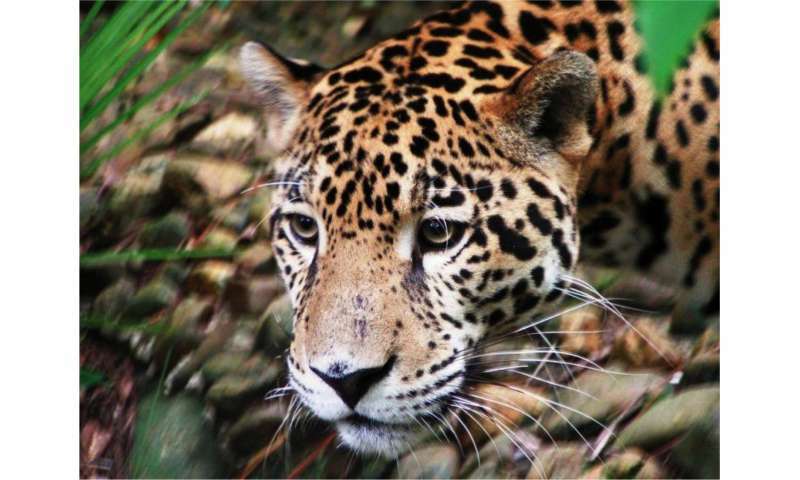 "Mesoamerica has one of the highest deforestation rates worldwide, potentially limiting movement and genetic connectivity in forest-dependent jaguars across this fragmented landscape. Large-scale conservation genetics studies on wild jaguars spanning across several range countries assessing these threats are rare and suffer from low sample sizes for this region," said Claudia Wultsch, the lead author of the paper, a scientist in the Museum's Sackler Institute for Comparative Genomics, and a conservation research fellow at Panthera. "Over the last 100 years, jaguars in Mesoamerica have been pushed out from more than 77 percent of their historic range." "We believe that these jaguars were once continuously distributed over the whole landscape of Mesoamerica, but human activity has resulted in smaller populations that are isolated from other groups," said George Amato, director of the Museum's Sackler Institute for Comparative Genomics and the paper's senior author. "We want to know whether this fragmentation is resulting in reduced gene flow or inbreeding or other things that might be detrimental to the animals. But most importantly, we want to figure out ways to reconnect these populations or, even if they're not completely isolated, to engage in activities that allow jaguars to move more freely across the landscape. One of the only ways to do this is through genetic analysis." The researchers analyzed DNA from 115 individual jaguars spread across five Mesoamerican countries. Overall, they found moderate levels of genetic variation in the jaguars, with the lowest diversity in Mexico, followed by Honduras. Low levels of genetic diversity could decrease reproductive fitness and resistance to disease, and generally lower animals' potential to adapt to a changing environment. 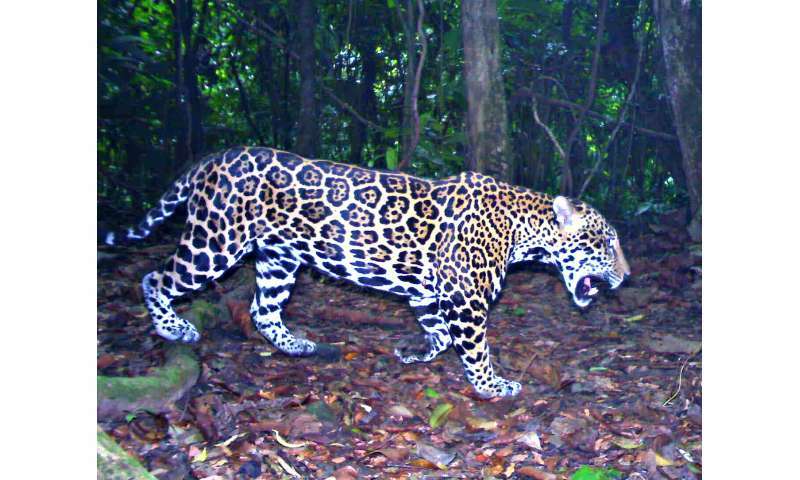 When assessing genetic connectivity in Mesoamerican jaguars, the scientists found low levels of gene flow between jaguars in the Selva Maya—the largest contiguous tropical forest north of the Amazon, spreading over northern Guatemala, central Belize, and southern Mexico—and those in Honduras. This suggests that there is limited jaguar movement between these two areas, which is somewhat surprising since they are so geographically close. Although more data are needed to fill gaps in the study, the authors say that the region connecting these sites faces rapid land-cover changes, which have severely increased over the last two decades, putting remaining stepping-stone habitats for jaguars at further risk. This region represents a conservation priority and the authors recommend continued management and maintenance of jaguar corridors and mitigation of jaguars' main threats (e.g., human-wildlife conflict). "Large-scale conservation strategies such as Panthera's Jaguar Corridor Initiative, which are instrumental to protect broadly distributed species such as jaguars, maintain their connectivity, and by doing so to ensure their long-term survival, need to incorporate genetic monitoring of wild populations to fully understand how these species respond to environmental changes and increasing levels of human impacts," Wultsch said.